Keep your professional and commercial teams seamlessly connected with Motorola MOTOTRBO mobile radio systems. 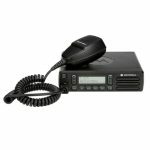 The MOTOTRBO mobile radio line features cutting-edge, yet easy-to-use technology for high-levels of performance, efficiency, and reliability. 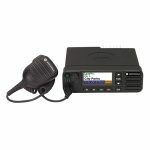 These mobile radios are used by a wide range of professional and commercial organizations to be more secure, productive and connected, so they can react and respond when crises strike, accidents happen and opportunities emerge. From road repairs to routine maintenance to monitoring restricted areas to keeping track of suspicious activity in public spaces and more, MOTOTBRO portable radios are the go-to solution for a vast number of organizations. Designed to keep the people you want to keep in touch connected at all times, the MOTOBRO mobile radio line offers several options that can help make safety, efficiency and productivity top priorities. 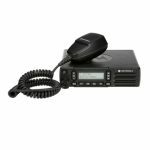 At Altech, we have several MOTOTRBO radios for sale to choose from, including the CM Series Mobile Two-Way Radio, the XPR 2500 Mobile Two-Way Radio and the XPR 5000e Mobile Two-Way Radio. Not sure which MOTOBRO mobile radio is the best solution for your organization? Have a question about MOTOTRBO programming, range, or want to see our Motorola MOTOTRBO price list? No worries, we’re always happy to help. Contact us today.